27 Sep Free Autumn Motivation! 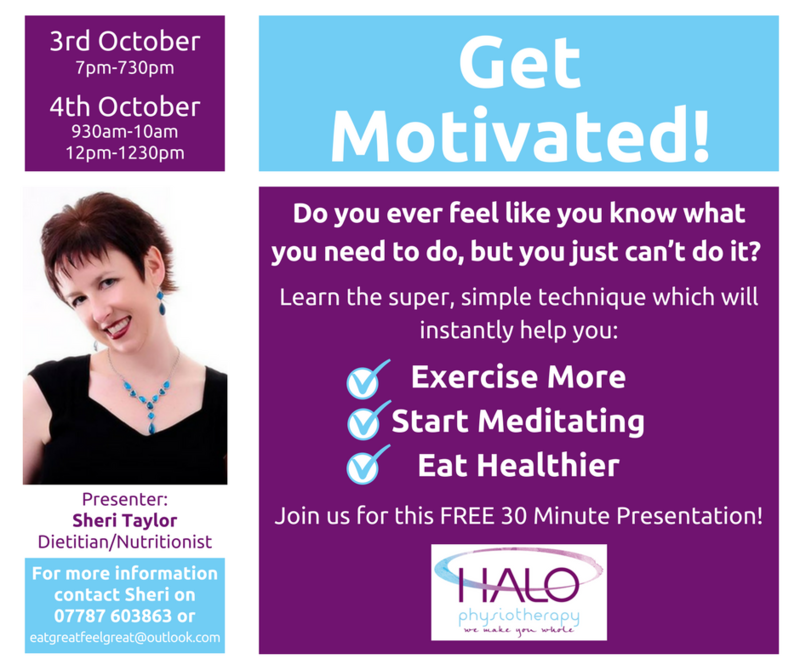 If you’re in need of some motivation to kick start your autumn, don’t miss the chance to come along to a FREE 30 minute presentation and Q&A session with leading dietitian and nutritionist, Sheri Taylor at Halo in Kenilworth! These free lifestyle sessions take place at Halo on Tuesday 3rd October (7pm-730pm) and Wednesday 4th October (930am-10am & 12pm-1230pm). Please feel free to call in at any of the times above, or better still give Sheri a call or text on 07787 603863 or email eatgreatfeelgreat@outlook.com to reserve your place now!